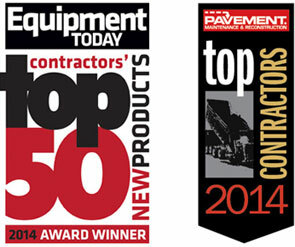 Connecticut Sealcoating is proud to be one of the top asphalt contractors serving Waterbury, Connecticut. Our team of asphalt paving professionals is dedicated to delivering the best asphalt services along with excellent customer service. We offer a range of paving services like parking lot paving, commercial paving, and more. Make sure to give us a call to get started on your next asphalt project! Waterbury is a city located in the U.S. state of Connecticut. It is part of New Haven County and is geographically situated on the banks of the Naugatuck River. It sits about 75 miles to the northeast of New York City, New York. With a population of approximately 108,000 residents, Waterbury is the 5th largest city by population in Connecticut. It is also the 9th largest city in New England and the 10th largest city in the New York Metropolitan area. Waterbury is nicknamed “The Brass City” for the first portion of the 20th century, the city of Waterbury had substantial industry throughout the area. Waterbury was the lead center of brassware manufacturing in the United State of America. This included many types of brassware such as finishings, castings, and more. The city is also known for its manufacturing of watches and clocks. The city motto is Quid Aere Perennius? which translates to “What is more lasting than brass?”. The city of Waterbury is also the home to a number of colleges, universities, and higher education institutions. Some of the educational institutions in the area are Post University, University of Bridgeport, University of Connecticut, Naugatuck Valley Community College, and Western Connecticut State University. Alongside a number of popular activities, events, and locations, these universities help to draw visitors and prospective families to the area. If you are looking for asphalt paving in Waterbury, make sure to give us a call. 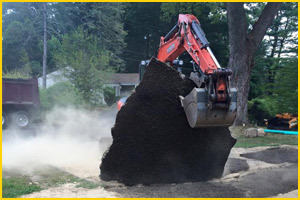 Connecticut Sealcoating is the asphalt company that you can depend on! Read About a Recent Asphalt Paving Project in Waterbury!